Baidu, which has three-quarters of the Chinese search market, has reportedly signed a deal with Microsoft's Bing to offer English-language search to its users. The partnership will allow English-language input into Baidu's search box to automatically pull results from Bing and display them on Baidu's website. Bing, which censors its contents in China to be able to operate in the country, has a negligible share of the market. The new tie-up, slated for launch later this year, builds on existing cooperation between Baidu and Bing on mobile platforms and page results, Baidu spokesman Kaiser Kuo told Reuters. Kuo said Bing will not add any further censorship or restrictions on its English search as a result of the deal "than they already do". Baidu is eyeing an overseas expansion while Microsoft wants to increase its presence in the world's largest Internet market. 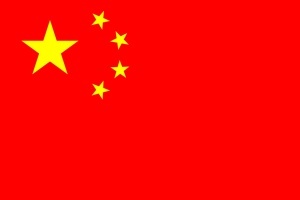 China has more than 450 million Internet users. Together, the two companies want to steal further market share from Google, which has been struggling recently in the country. Last year, the search giant went to war with Chinese authorities over censorship laws. First Google declared that it would end censorship in China in January 2010. China told the search giant to obey Chinese law if it wanted to operate in the country. In March 2010, the Chinese government said Google would face consequences over uncensored search results. Despite this, Google started serving uncensored results in China by redirecting Chinese users to its unfiltered search site in Hong Kong. When there was doubt that the Chinese government may not renew Google's license to operate in the country, Google simply offered a link on google.cn to the Hong Kong site. In July 2010, China renewed Google's web operating license.